We’re running low on t-shirts, so it’s time for a new design! 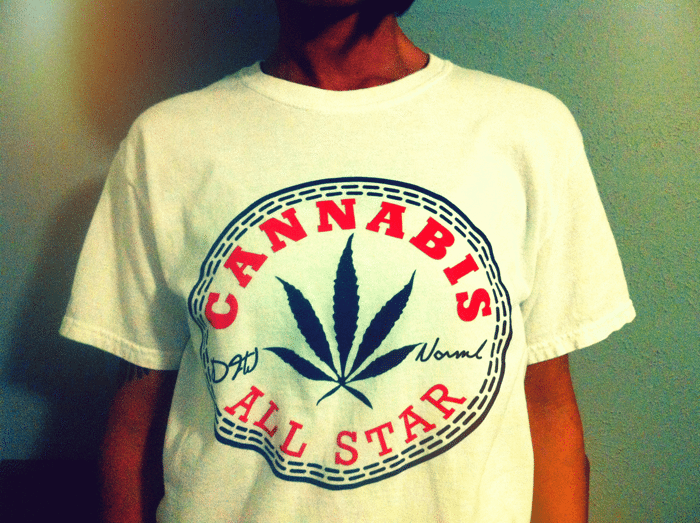 Instead of starting from scratch, we’ve decided to stick with our infamous “Cannabis All Star” theme, but that does NOT Mean it has to look ANYTHING like the original. Download this .zip file containing vector versions of our leaf & logos. It’d be great if your design included one of them, but it’s not a requirement. We’re looking for something fun & sporty to show off how active we are within the marijuana reform movement. These will be printed on American Apparel shirts and available for sale online and at events. – Must be a vector art file in either .pdf, .ai or .eps format. – One or two colors max. Design can be on the front, back or sides. – Entries must be submitted to shaun@dfwnorml.org by September 14, 2012. Once all entries are received, we’ll create a poll to allow our membership to vote on their favorite design. 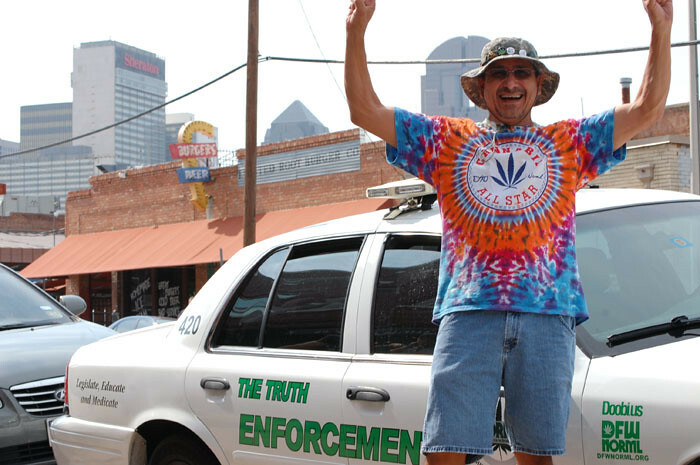 The winner will receive two copies of their shirt, a Proud Texas Toker wristband, video interview on dfwnorml.org and a one year membership. Be part of the fight for legalization. Get creative with DFW Norml and together we’ll continue ending cannabis prohibition one Texan at a time.